Check your tires. That heated asphalt does a lot of wear and tear on your tires – and can sometimes lead to a blowout. Make sure you are checking your tires for abnormalities and for the correct tire pressure more often in the summer. Keep an emergency kit in your car. You never know when you’ll be stranded on the side of the road, and driving an excessive amount increases the chance of this happening. 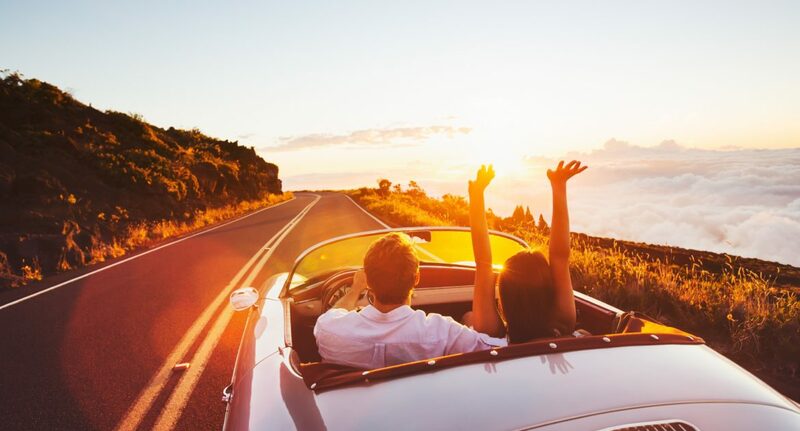 Even if your car breaks down during vacation, have the necessary items to get you out of trouble: Water, first aid kit, food, basic car repair kit, jumper cables, and a phone charger. Never drive fatigued or under the influence. While this should go without saying, driving without a proper amount of sleep is extremely dangerous not only to you, but to other drivers as well. If you do become tired while driving, pull over at an appropriate place and take a nap (or get a hotel room for the night!). Driving under the influence is illegal and if you get into an accident, can lead to very high fines and jail time. Do proper maintenance of your car. Getting your oil changed, air conditioning system and transmission checked, and keeping coolant at a good level will help keep your car in tip-top shape to get through the harsh summer. Don’t let a car mishap ruin your summer. We often see an uptick in car accidents during the summer because of the many things that people don’t prepare for (not to mention how many more people are out on the road). Always be on the lookout for other dangerous drivers, and know what to do if you get in an accident – call Tad Morlan!